Christmas is on its way and we’re feeling very festive at Lolly HQ! When we’re not eating mince pies or putting Christmas jumpers on Bebo & Pickle, the resident Lolly pooches, we’re busy working on our Christmas cards. We love receiving Christmas cards, but not as much as we love getting creative and making them for our clients and friends. 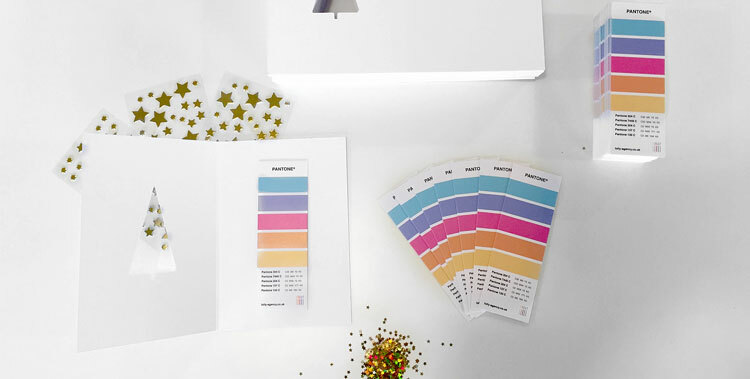 This year’s design saw us rolling up our sleeves and going into full-on Blue Peter mood with some Lolly Pantone reference cards, cut-out cards and sticky gold stars. We wish all our friends and clients, new and old, a very Merry Christmas and a Happy New Year. We’re looking forward to seeing what projects 2017 will bring us!